Manage Your Data With Microsoft Access Easily! Training For Your Entire Department? Can't attend the whole day? Get a 1-1 coaching for the topics you need. Microsoft Access 2013 Training teaches you how to design data tables, select appropriate data types and relate tables logically. You will create and modify database objects including tables, forms, reports, queries and macros, and will apply intermediate skills to streamline data entry, ensure data integrity, automate tasks and analyze data. You will also use advanced form controls to locate information and restrict data entry, and will set form properties that respond to events. SDF Funding is available to Singapore Companies (For company sponsored candidates). Call +65 6296-2995 for Details. SkillsFuture credits ready for Singaporeans. If you’re searching for a more flexible data management system, a database might be just the salvation you’re looking for and Microsoft Access 2013 provides an excellent option. With Access 2013 you will experience new interface with different look and feel. It has got sleeker look and it has more colors to make it more modern style. The key objective is to teach the student the most important aspect of using Microsoft Access 2013 for simple to more complex projects. To provide an easily accessible database management and programming tool for home and small business use. Design Reports for Easier analysis in Microsoft Access 2013. This course is for the people who want to create their own database on Windows and learn to manage their own data. In this training course you will learn: how to create, update and delete the data in database tables. There are no specific pre-requisites for attending this course. You should be familiar with Windows operating system, have the Access software on your computer, and must have a desire to learn Access and create some kind of database management system. If you have a good idea of what you want kind of forms or reports you want to build using Microsoft Access, then this workshop can be of immense help. Laptops with the required software will be provided for use in the workshop. Companies sponsoring their staff for training can claim from the Skills Development Fund. Singaporeans can use $500 SkillsFuture Credits for this training to offset the course fees. Contact us for advise on how to go about claiming your SkillsFuture. You learn best when you Do It Yourself. We teach you, step by step, how you can learn new skills, build your knowledge and enhance your career prospects quickly & easily, with Practical Tips & Tricks! Do You Have a Question or Need a Quotation? Simple. Just tell us what you need below. We’ll be glad to help you! 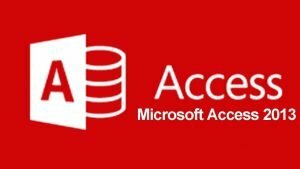 Register for the 2 Days Microsoft Access 2013 today by simply clicking on the chosen course date available at the top of this page. Submit an online enquiry if you have any questions regarding Microsoft Access 2013 training. We have regular public classes each month, and Custom Corporate Trainings can be arranged at your office too. SkillsFuture: Individual Singaporeans, aged 25 and above can use their SkillsFuture Credits for this training. Call us at +65 6296-2995 or email to training@intellisoft.com.sg for any questions, or to register for the upcoming class of Microsoft Access 2013. The training content is arranged logically. Session are very useful to extract data and generate reports from raw data. Small class allows more effective interaction. Training is enthusiastic & helpful. It does provide some improvement in manipulating material data & makes the job more efficient and thus saving more time for other work. Great faculty, very useful study material provided. I can manage my data in a more organized and efficient way. Easy to understand guide. Training will help me in creating and managing databases. Trainer is helpful & friendly. Training material is easy to understand & follow. Hands on exercises, students are able to understand on a fast pace. Great help in my job. Learn from expert tips, tricks and resources for Excel, PowerPoint, Photoshop, Project Management, IT, Soft Skills & more with our Email Newsletter. Plus get the latest news on Grants. Join Today! © 2003-2019, Intellisoft Systems. All Rights Reserved.